Bring your mother in law! 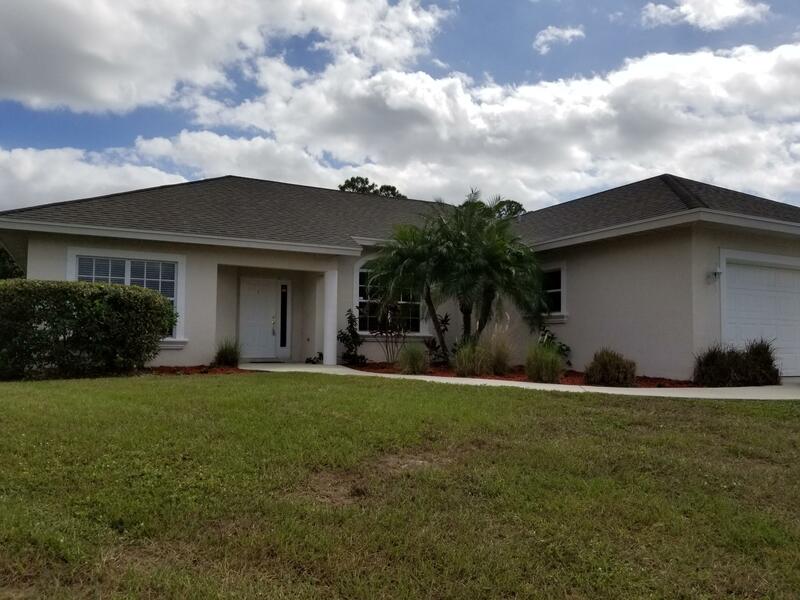 Large home located in very desirable area of PSL. This spacious home features 2 master suites or mother in law suite with private entrance from pool area. Home is bright and airy, open concept, freshly painted throughout. This home is ready for your family get togethers. You need a Large backyard? Home features a Park like yard. Have a large boat or R.V? No worries! Room for all your toys. Solar powered, large pool has just been refinished and offers beautiful lighting for all your outdoor events. Brand new vinyl flooring in master bedroom, large walk in closets in BOTH master suites. Kitchen is open to large great room and features stainless steel VIKING stove and dishwasher. S.S. Microwave oven is brand new and S.S. S/side refrigerator complete kitchen!